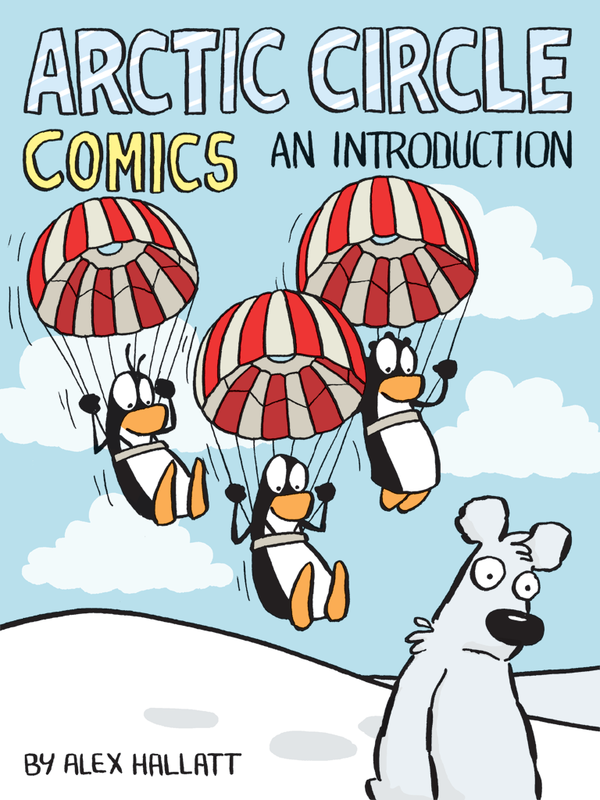 My daily comic strip, Arctic Circle, is about three immigrant penguins having fun in a changing world. It has an underlying environmental theme. Arctic Circle is distributed by King Features and appears in newspapers worldwide. You can read more about it in the New York Times and in the Washington Post. Below are some of my favourites. The daily strip and archive are on arcticcirclecartoons.com. Bumblebees have a lot of hidden talents. A lot of my strips are inspired by scientific discoveries, some of which are more disturbing than others. My other half has over a thousand emails in his inbox. This would drive me crazy. I only hope there are still libraries. I have a feeling I'm not as worried about nanotechnology as I should be. Personally, I'm a big fan of homemade elderflower champagne. Cartoonists don't retire. At least, I hope not. The lawyer depicted is my friend, Ashley. He isn't a lawyer anymore. I wonder what percentage of Big Mouth Billy Bass fish ended up in landfill. A horrifying number, I imagine. I was a huge Peanuts fan as a kid. Still am. It may not be cool to say so, but Snoopy WAS the best character. I would like half camper van, half compact car. Yes, helmets make cycling safer, but they would also make driving, or walking safer and we don't have to wear them then. Unless we choose to. This little eBook introduces the three immigrant penguins, polar bear and other characters of this engaging comic. The book showcases over a hundred of the best strips. It’s all you need to get up to speed on the best green comic strip around.